Sorry my post title is so misleading, it’s not that R and I had a fight, but he was in Sydney for a course over the weekend so I didn’t have a Valentine this Valentine’s day hehe. It was still a very enjoyable weekend as per usual because weekends are usually family days. The whole city was hyped up with The Giants fever. 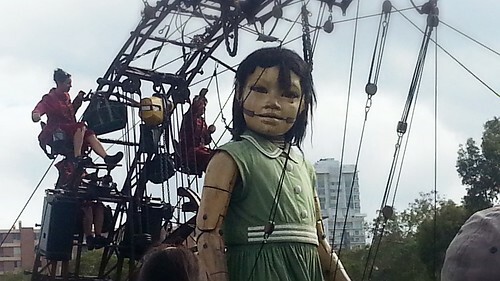 I was lucky because the Little Girl Giant was resting just opposite my work building so it was a quick walk to the park opposite to check her out. 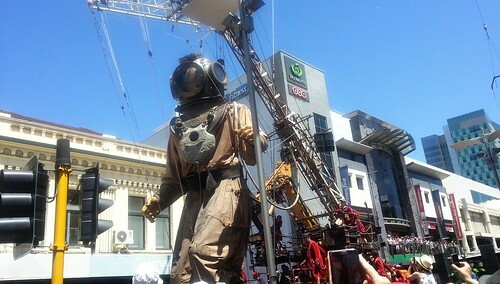 I thought that was the end of my Giants encounter but Jo wanted to see the Giants too so we ended up lining up the streets with the rest of Perth on Saturday to catch a glimpse of the Diver Giant. The happy Tristan, this was not because of the Giants though, he actually fell asleep when the Diver came by and didn’t seem too impressed with the Girl giant who zoomed past us. Haha, it was still pretty fun. 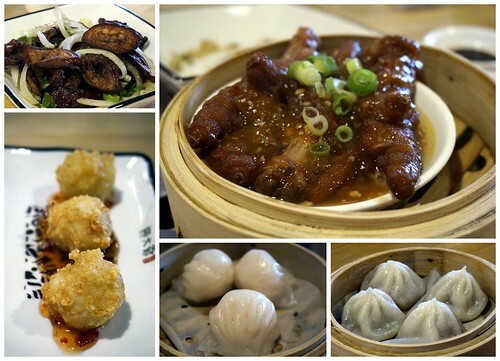 After checking out the Giants, we had dimsum at New Moon (William Street, Northbridge). 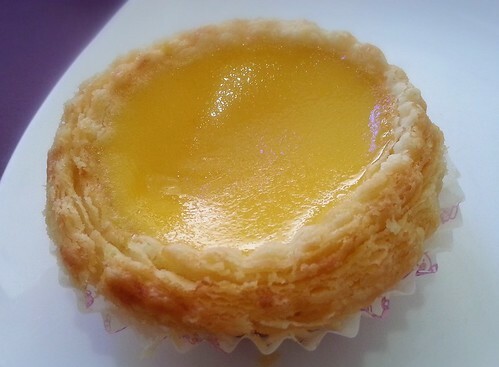 I reckon New Moon has some of the best eggtarts in town, just the right amout of flakiness it its pastry shell. 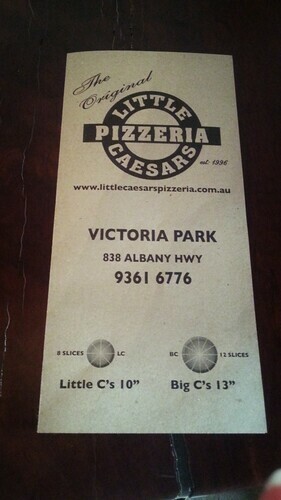 Little Ceasars Pizzeria is now available in Victoria Park. 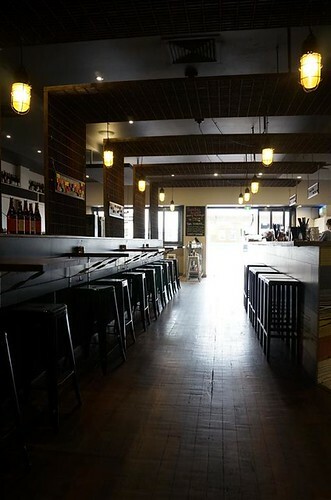 HC my brother in law was very pleased because he loves the pizzas there and used to drive to Leederville just to get takeaway. Now it’s a stone’s throw away! 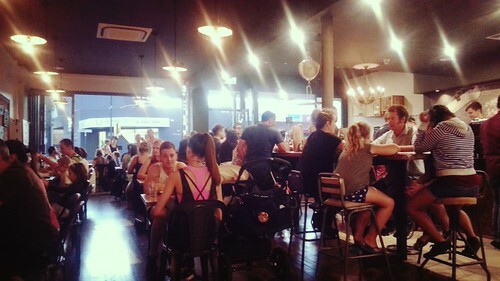 Very busy despite opening less than a week ago. 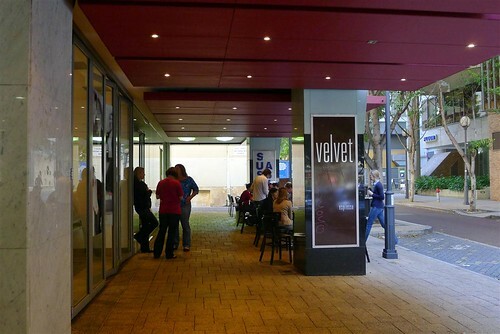 I’m so chuffed that we’re getting better restaurants in Victoria Park. 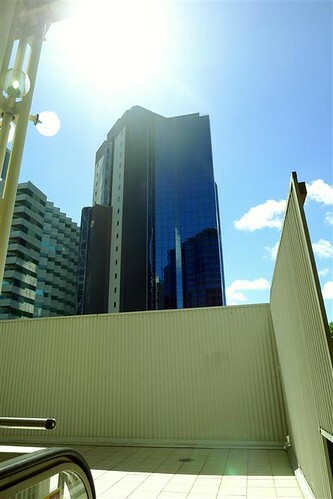 It’s so nice to be able to walk to the cafe strip and know there’s good food available ( I especially love Grill’d haha). Jan and Andy’s Pisagne, a pizza-lasagne, get it? hehe, it was pretty good and as Andy put it ‘very easy to eat’. 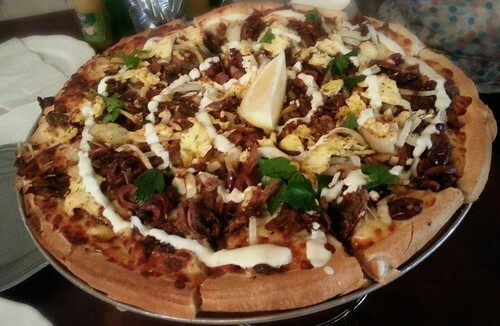 Jo and HC’s must order Greek Lamb pizza. This one was laden with olives. 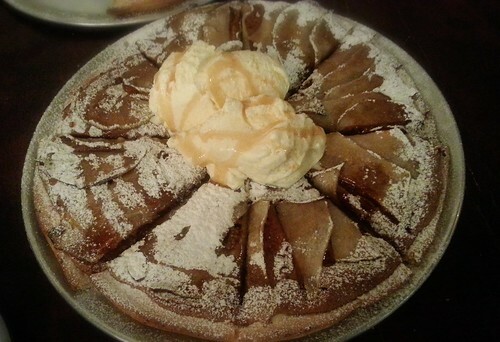 I like Little Caesars’ dessert pizzas, this was their Tea Party pizza which comes with a french vanilla cinnamon base and pears. It was lovely. 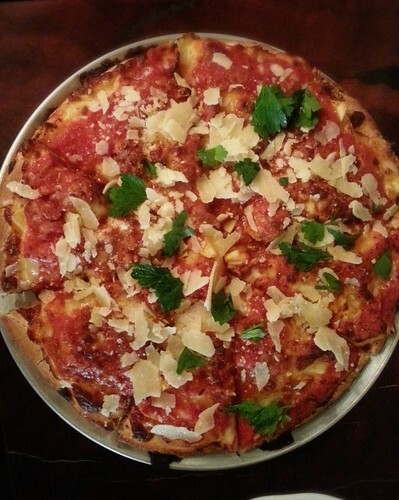 We’re hoping to try their Red Velvet dessert pizza in the future! 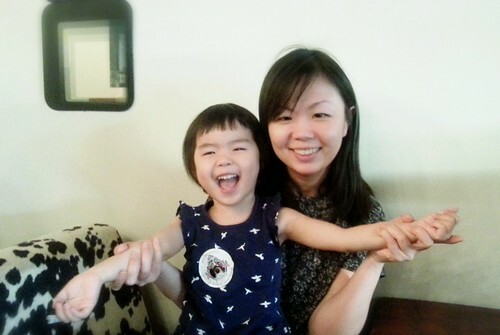 This is my lovely niece with her mummy, Kaka was very happy because we were at her favourite chicken rice joint Hoi Bo for lunch. 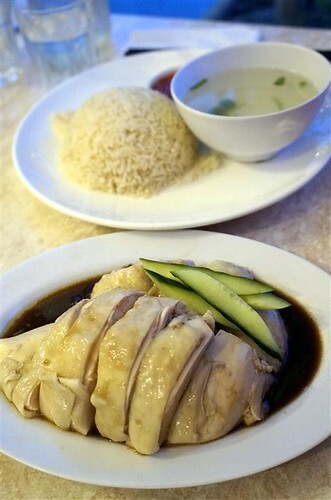 A girl after my own heart, I am also a big chicken rice fan. 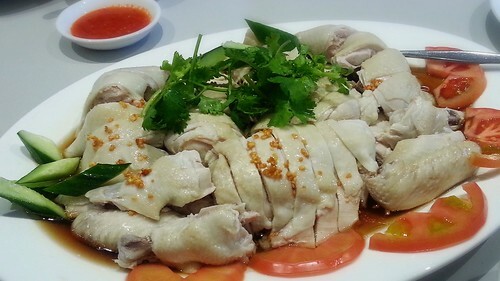 Tasty Hoi Bo chicken rice. I reckon nothing’s better for lunch than a fragrant bowl of chicken rice with succulent poached chicken and the most shiok chilli sauce. 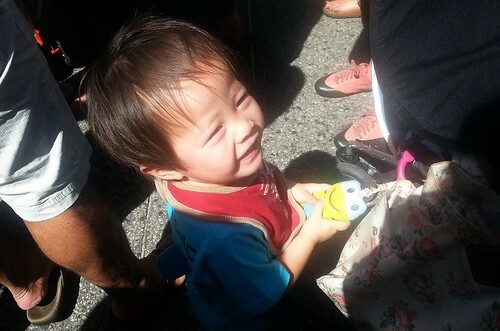 The only thing to fault about Hoibo’s chicken’ rice is the lack of thick dark soy sauce. Was so surprised to see jambu available in Perth. Was almost tempted to buy some but it’s a bit hard justifying the price when I know it’s a lot cheaper in Malaysia. We’re getting ready for CNY in Perth and have started buying ingredients for our ambitious reunion dinner. 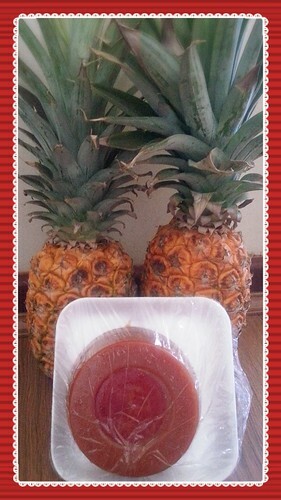 Guess what I’m making tonight? 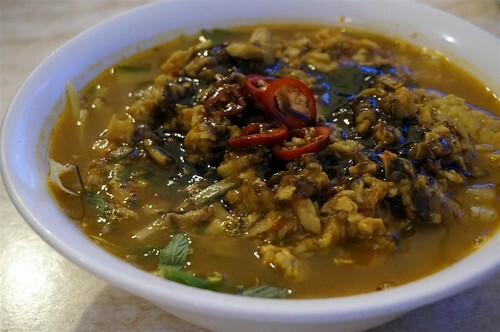 I seriously wonder whether there is anywhere else in the world besides Malaysia that you can find the dish below, ju hu eng chye meaning cuttlefish and kangkong (water convolvulus). ju hu eng chye can be loosely described as a salad of some sort, with a pungent shrimp paste dressing though, it’s not exactly vegetarian. 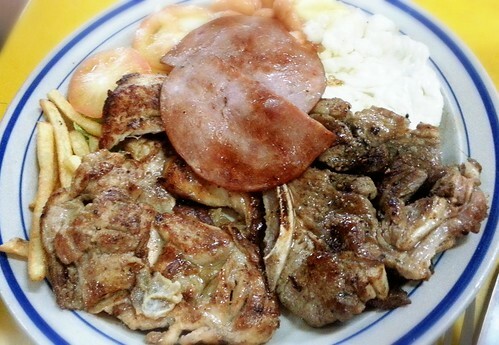 Western style (and yet so not Western) mixed grill dish from your local steakhouse stall in Petanak market.This is what you call a bit of everything. You know I’m back in Perth when I start posting a myriad of Kuching food pictures. Sigh, it’s back to harsh work reality tomorrow but I’m indulging in one day of post holiday blues. 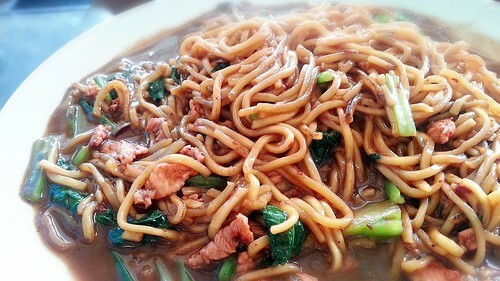 In fact, I had indo mee and a kopi (instant Old Town pack sigh) for lunch to console myself and feel a little closer to home. My childhood Moonlight pandan icecream stall has closed in Kenyalang *sob* so had to make do with second best Sunny Hill pandan icecream which Darren’s friend kindly bought for us. I had a couple of scoops of this and it was sooo good. 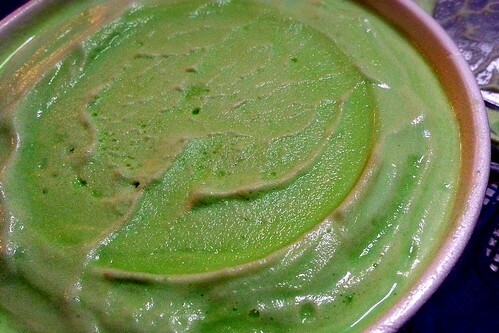 I would buy an icecream maker just to make pandan icecream if I could recreate the same texture and flavour. Even though I didn’t post up pictures of durians, it was durian season in Kuching and we pretty much had durian every day! 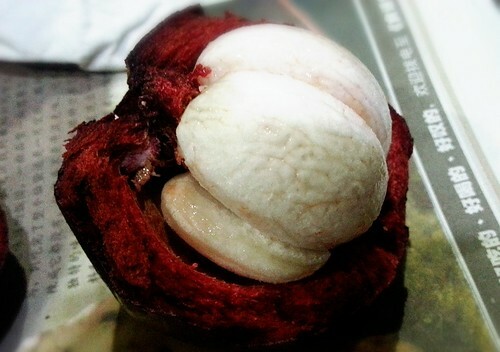 We also had the local mangosteen, which is very sweet and picturesque with its purple hue and white flesh. 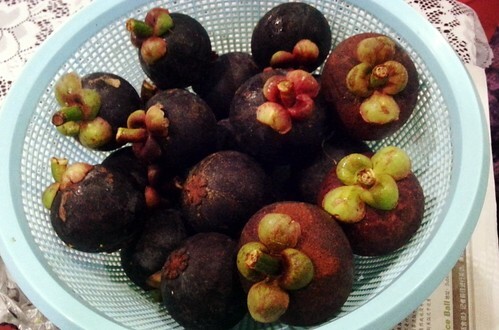 Funnily enough, I remember always having to draw pictures of mangosteens for art class or tuition at school, but I hardly ever ate any mangosteens back then. A new discovery of good bbq meats and noodles, well not actually new because my parents told me they’ve been going to this kopitiam for ages, but new for me. I’ve never been much of a roast meat fan, but man, we really need good char siew like this in Perth. 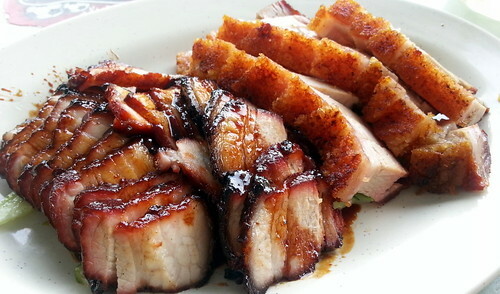 It was the perfect combination of crunchy charred bits, sweet charsiew sweetness and tender meat. 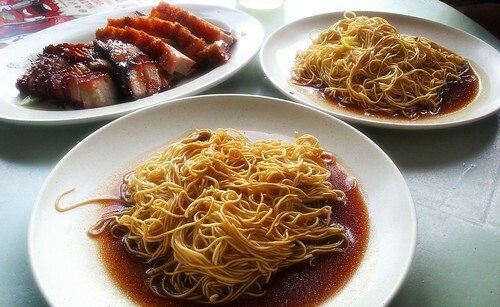 No more Yi Ann kampua mee this year, instead I had the kampua at Sin Popo (another popular local kopitiam) which has its own fans. I think I might like it better than the one at Yi Ann. 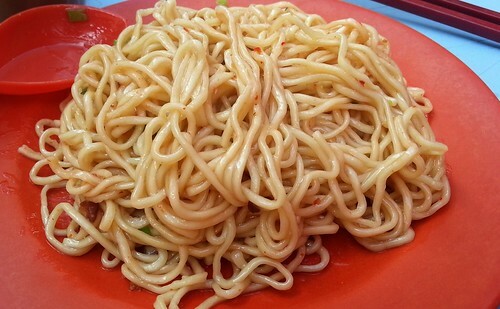 Another foochow hawker fare, this is a dryer version of ‘char ju mein’ which was noodles stir fried in fragrant foochow ‘red wine’ (ang chiew) and red wine residue. Speaking of red wine, we managed to bring back a bottle of ang chiew to Perth so I will be making red wine chicken soup in 2015. If I have time, I may attempt to make my own red wine again this year. This is a typical home cooked meal at R’s house. My father-in-law is a great cook and whips up these banquet meals in no time. I think R put on 6 kgs in two weeks! 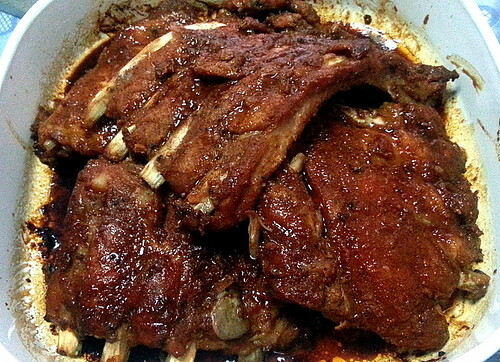 Speaking of home cooked meals,the ribs that Darren made turned out fork tender. We were probably a bit too heavy with the salt but the spice rub was very tasty, must attempt this at home. He’s not going to be happy I posted this (but luckily I don’t think he reads my blog) but this was the day Darren was discharged and returned home, woo hoo. I don’t know why I refer to him as the kid or that boy sometimes seeing he’s a grown man in his *gasp* late twenties, but I guess he will always be my little brother in my eyes. I will miss hanging out with him and wish desperately that we were all together in Perth. Maybe some day. 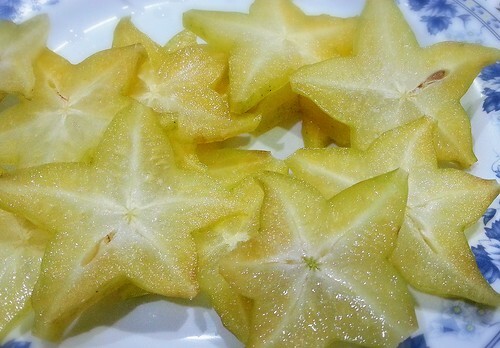 Another local fruit the mighty star fruit which is not only pretty to look at but very refreshing. 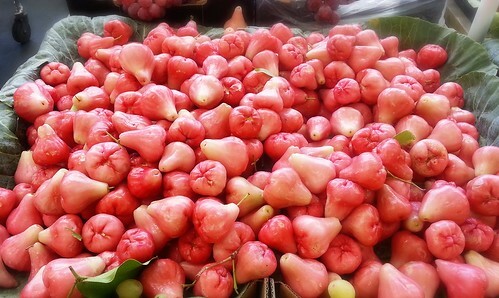 It’s a pity I didn’t get to eat jambu (bell shaped local fruit) this time. Ok that ends my Kuching food post for the year, hopefully I’ll get to visit before the year ends and will be posting more pics of Kuching food soon. Meanwhile it’s back to the start of the working year for me, so hopefully I’ll successfully switch off my post holiday blues tomorrow. Wish me luck! Half of 2014 is over and yet I feel like I haven’t achieved anything. But maybe I will soon because I’m taking driving lessons, woohoo! 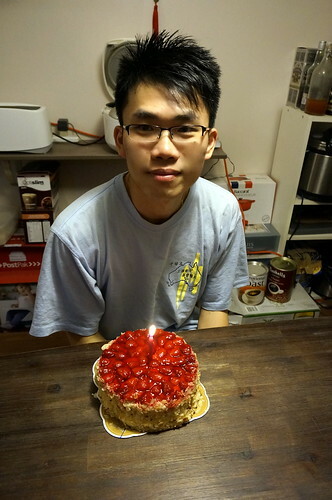 In June, we celebrated Richard’s birthday. It was a very quiet, simple affair. In fact, the cutting of the birthday cake was just us two which was nice. 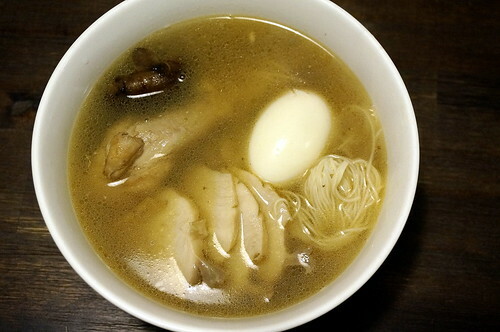 Richard’s birthday breakfast of longlife noodles with chicken abalone soup. Lots of new restaurants popping up in Victoria Park which is fabulous. We’ve had two hotpot places open up within the year. 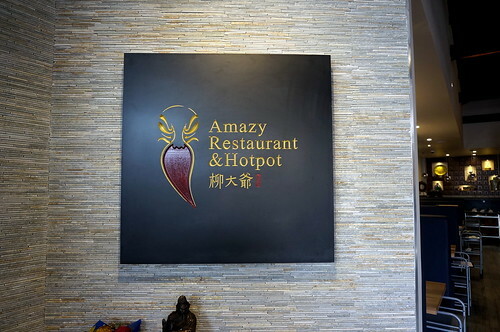 I was pleasantly surprised to see the nice interior of Amazy Hotpot restaurant and attracted by their dimsum poster (during the day) so asked my makan family to go there for dimsum one Sunday morning. 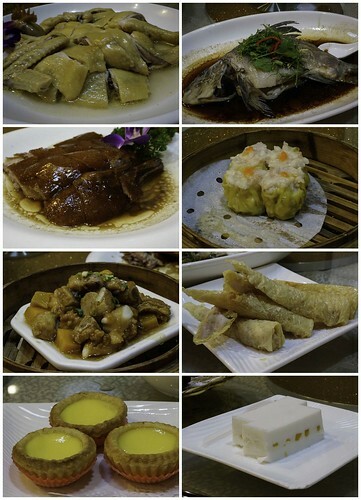 There wasn’t a wide variety of dimsum to choose from but they had the staples. Most of the dimsum were of quality standard and tasty, however, they took a long time to come out despite us being the only table there! We were also taken aback at their $3 per head tea charge. 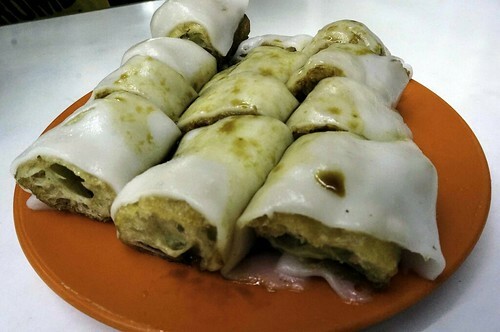 Our must order sin jook kuen, beancurd skin rolls. 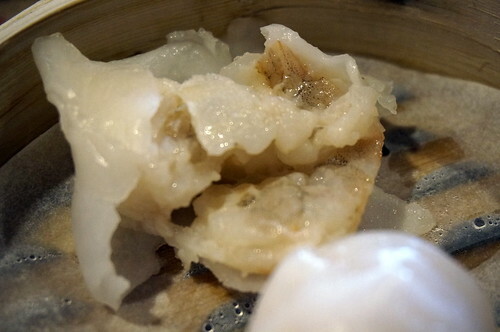 The ultimate sin of all dimsum, uncooked har gaw! Despite coming out at such a slow pace, the chef must have been getting stressed out and this har gaw came out way too early so the prawns were still raw and skin still doughy. Arrgh. We returned it and asked for a replacement. I’ve heard that their hotpots are quite tasty but there have been complaints that the prices are on the high side. Save to say, we definitely won’t be returning. It feels like one of the coldest winter I’ve ever been through in Perth. 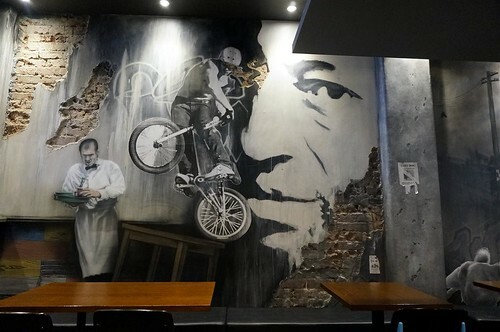 One night, R and I braved the cold and walked from home to the Vic Park town centre for dinner. We didn’t really have a place in mine but decided to go with Mexican at Pancho’s Villa which we’ve been to a couple of times and enjoyed. 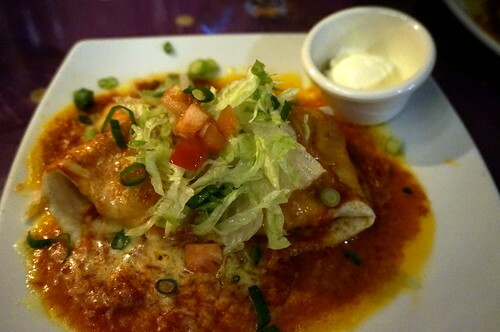 It was perfect for a cold winter night, melted cheese, sour cream, burritos, frijoles, rice. Yums. 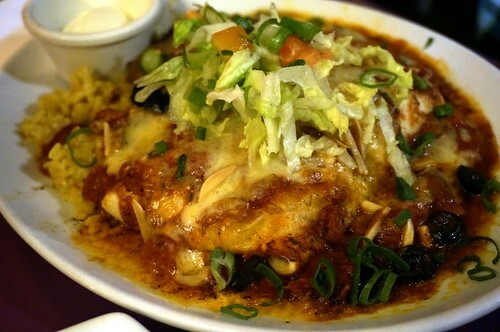 It made me crave Mexican for the rest of the week. 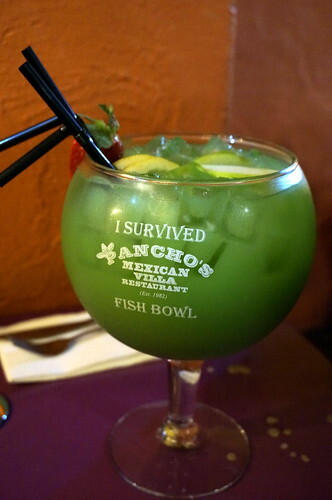 All washed down with this giant ‘Fish Bowl’ of Pearl Harbour cocktail. It was supposed to be shared by 4 but R and I finished it easy hehe. Raring to go back again, but this time I would love it if the daitaoha sisters could go and share a fishbowl :). 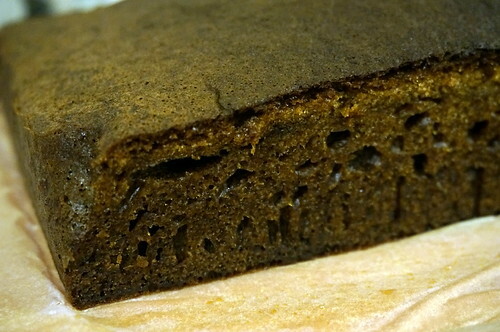 Malaysian honeycomb cake, a special chewy texture with a dark caramel taste. 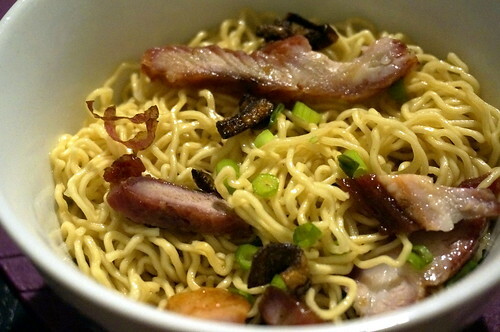 Another Malaysian delight, the one and only Sarawak kolo mee. Our supplies are running low, we’ll make sure we load up when we’re next back home. And that wraps up the first half of 2014. 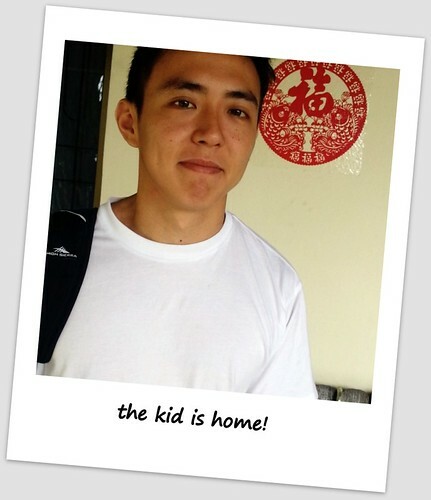 We were excited on the third day because it meant that our Guangzhou leg of the trip was starting! We woke up early because we wanted to catch the early trains from Hongkong to Guangzhou to make it to Guangzhou by noon. 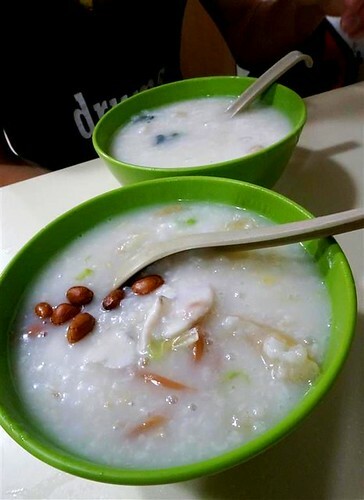 Breakfast at another congee stall near Soy Street Mongkok. 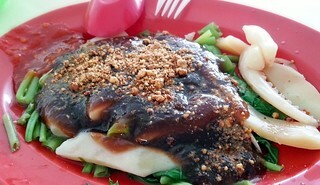 I wasn’t very hungry so ordered a plate of zha leong, which is fried youtiaw wrapped in cheong fun and soaked in a sweetish soy sauce. 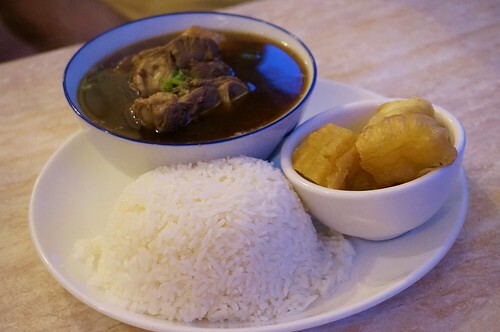 Richard had a big bowl of ‘zhu hong jook’ as in pork blood cube congee. He preferred the first congee stall we had the day earlier but said the bloodcubes were good. Don’t forget if you’re travelling from Hongkong to China, you need to apply for a visa in advance. 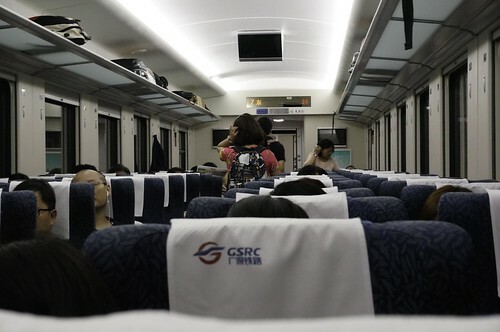 There are various methods of getting to Guangzhou from Hongkong, but one of the easiest ways is via train. All you have to do is get to the Hung Hum station in Kowloon where you’re able to buy your train tickets (HKD$190) to the Guangzhou East station. 12 trains run daily and the train journey takes a comfortable two hours. The train itself is very spacious and clean so we had a relaxing journey. Once we walked out of the train station we were greeted by Gerry, Gerry’s mum and his friend CK ! It was all very exciting and cheerful, Gerry’s mum was delighted that we were finally going to visit their hometown and was chattering to us non-stop. Straightaway Gerry brought us to fill our tummies and introduced us to his hospitable and friendly god mother who started ordering a vast array of dishes. 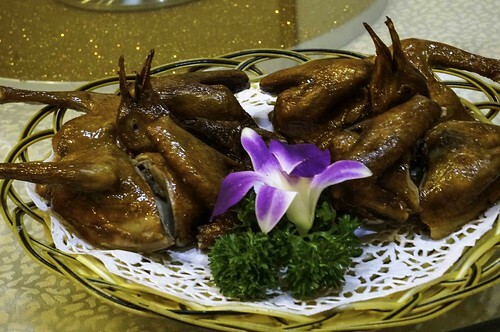 This was one of the first dishes being red roasted pigeons, a specialty in Guangzhou and Hongkong. And then the dishes went on and on from a variety of dimsum to roast goose, a beautifully steamed fish and pearl chicken. 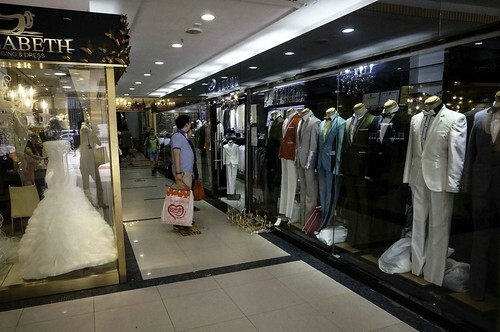 But we were really in Guangzhou for a mission: to buy a wedding dress. 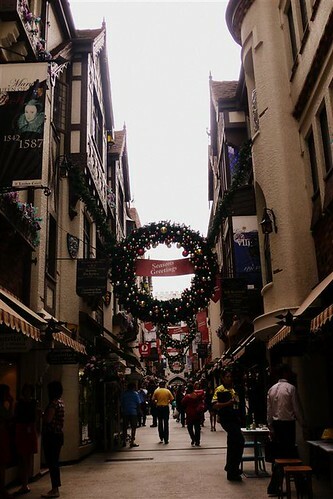 They had purposely picked a restaurant along the famous Guangzhou Wedding Street being Jiangnan Da Dao so we could go wedding dress hunting straight away. The aunties left us to shop and the young ones started trekking along the never ending shops of wedding everything. 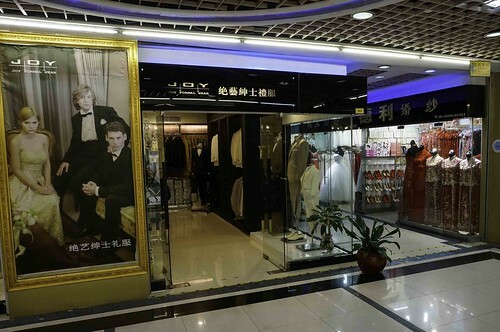 There weren’t just wedding dress shops, there were shops specialising in tailored suits for men, shoe shops, wedding accessory shops selling everything and anything you would need for a chinese wedding. Big sparkly gown or traditional red and gown kua? Choices, choices. Just in this building along there were three or four stories of wedding stores. 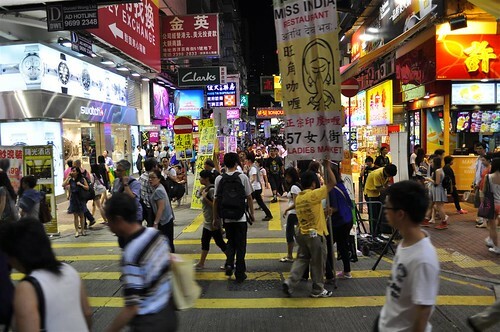 Along both sides of this busy street were bridal boutiques and tailors not to mention street vendors selling wedding stickers, red umbrellas, lucky packets with your family name …..
Did we manage to get a wedding dress? Yes! I also bought a cheongsam and Richard ordered a suit as well, so in all, a very successful shopping outing. Poor Gerry and CK couldn’t have been enjoying themselves trooping in and out of the stores in the muggy heat but they never complained and were great companions. 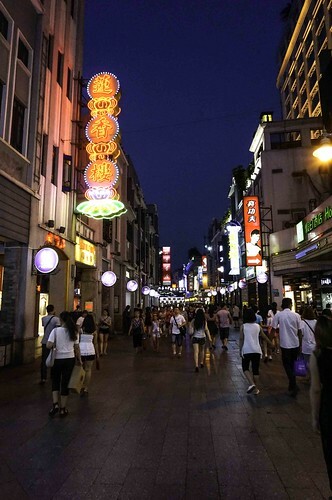 It was late afternoon by the time we were done shopping, time to check in our hotel which was conveniently located on the busy Shangxiajiu Pedestrian Street. We were pretty tired by then so didn’t explore the street much. 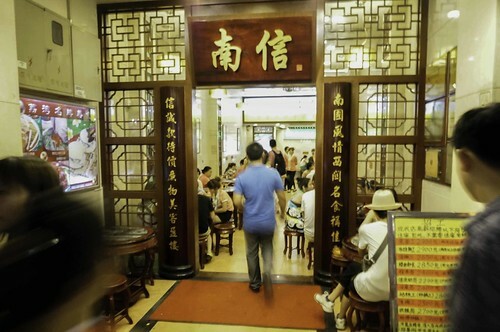 After checking in, CK brought us to this popular dessert house 南信 Nanxin located on the pedestrian street. 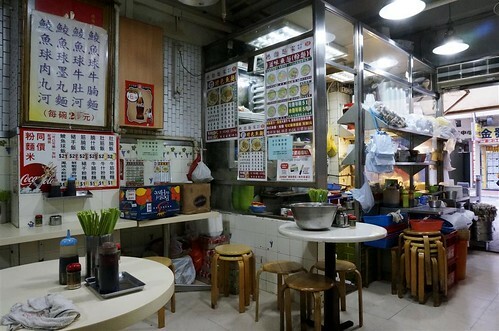 We knew straight away that it was going to be a good foodie place because it was teaming with locals. 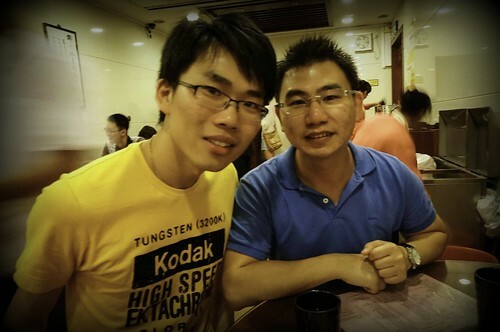 Richard and Gerry in Guangzhou, June 2013. 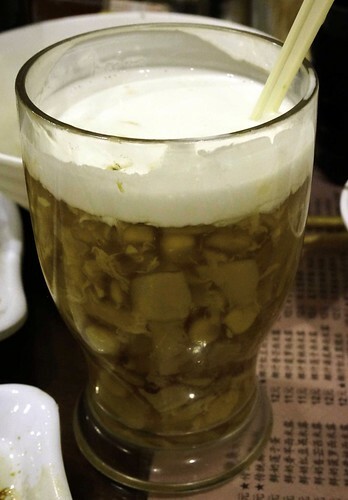 My first 双皮奶 Double Skin Milk and apparently Nanxin’s双皮奶 happens to be one of the best in Guangzhou too :). 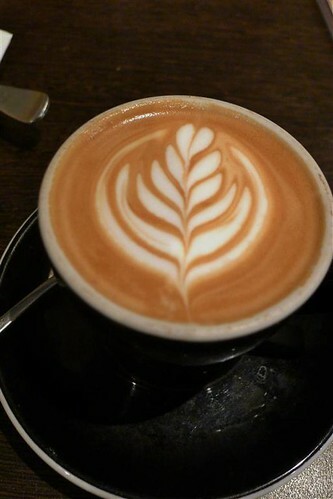 This mixture of milk, egg white and sugar was fantastically smooth, creamy and rich. I was very impressed. 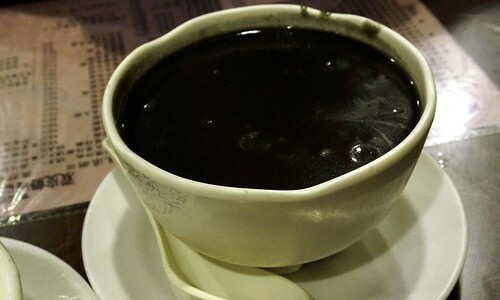 Gerry’s favourite chinese dessert is the black sesame paste 芝麻糊 which when you look at it, looks like a uurgh black mess. But Nanxin’s black sesame paste wowed us with its fragrance and richness. It was really lovely and possibly the best jimawu we’ve ever had. They have other things besides dessert! This was their Sampan Congee which was slightly burnt but still pretty tasty nevertheless. 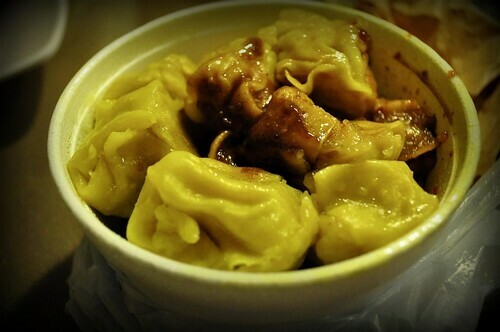 Their cheongfuns which come in huge portions. 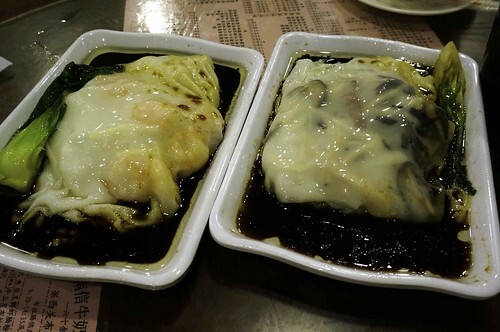 Again, I was surprised at how different the texture of cheongfun was in Guangzhou, chewier and stickier and smooth. 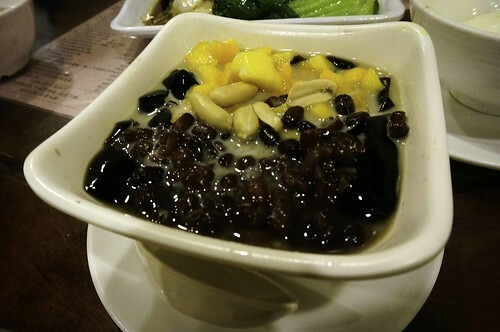 CK introduced me to another signature dessert of Nanxin, this mixture of mango, red bean and herbal jelly dessert. It was nice but I was still partial towards the double skin milk. Another nice dessert, this one had crunchy bits of water chestnuts in it and tasted a bit like a light horlicks or ovaltine. Very refreshing and great texture. And with that, our wonderful first day in Guangzhou ended with a sweet note. 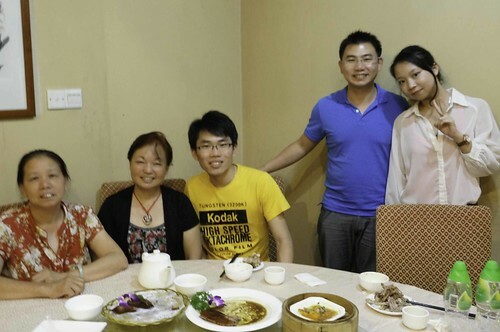 Already this Guangzhou leg was promising to be an exciting foodie experience and memorable trip. 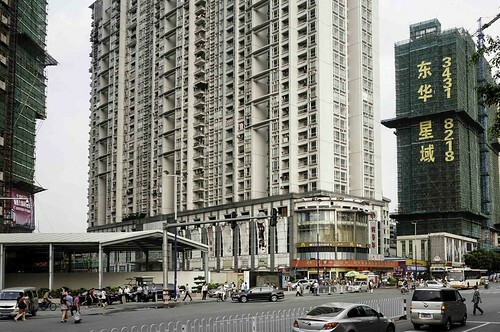 Wanted to end this blog post with this picture that we snapped along the Guangzhou busy roads, can you guess what this building is? It’s a kindergarten! 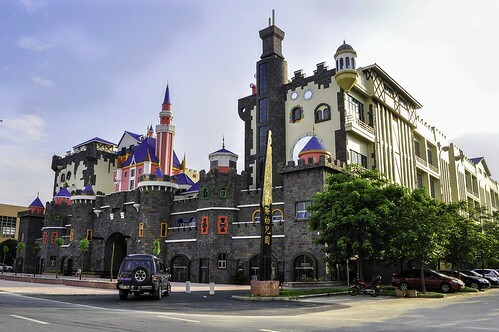 I think Tristan and Kaka would have liked going to a kindergarten that resembles a Hogwarts castle. More Guangzhou posts next time. Our Hongkong trip is over and it’s back to the daily grind (T____T). But let’s relieve the good ol’ holiday here. 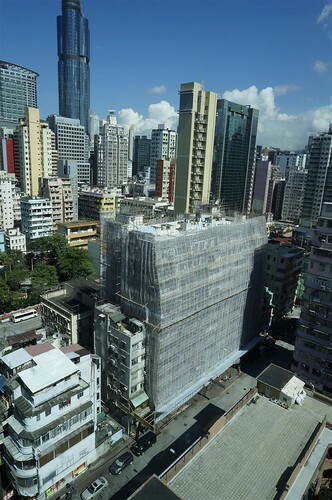 The view from our hotel room, classic Hongkong with it’s tall narrow buildings. A big part of our first day was taken up by going to the bridal store located in Kowloon Tong (choosing dresses) where we were to take our wedding photos the next day. Our first meal in Hongkong amazingly enough wasn’t congee, curry fishballs or even char siew bao. 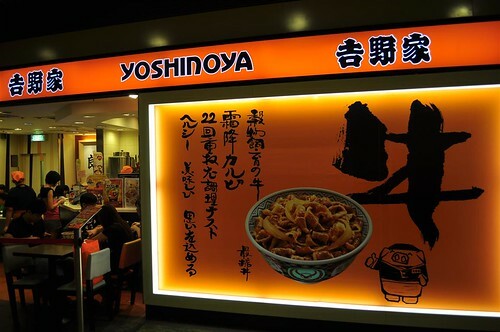 It was Yoshinoya’s beef bowl. 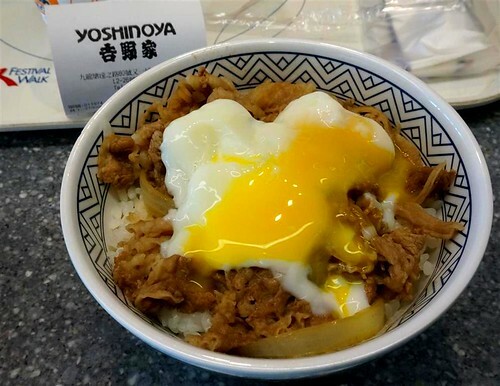 My beef bowl came with a runny onsen egg, nothing extraordinary but a satisfying first meal in Hongkong. 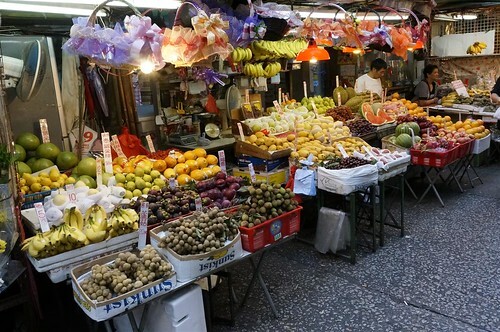 Fruit stalls on Fa Yuen Street. Lychee and longan were in season, I had too many lychees during this trip and am now paying for them :(. 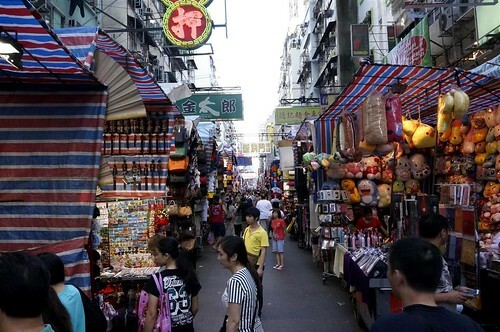 Famous Ladies Market which was conveniently located near our hotel. 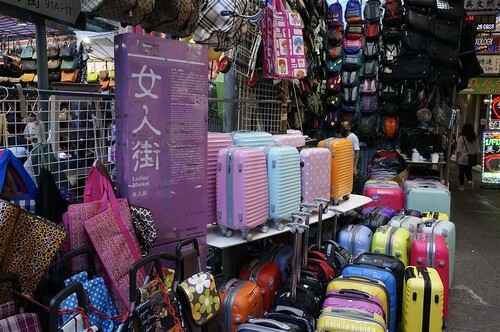 We visited the market many many times during our trip. I still love Ladies Market. I dislike bargaining with the stall owners, but there are lots of nice things to buy here :). 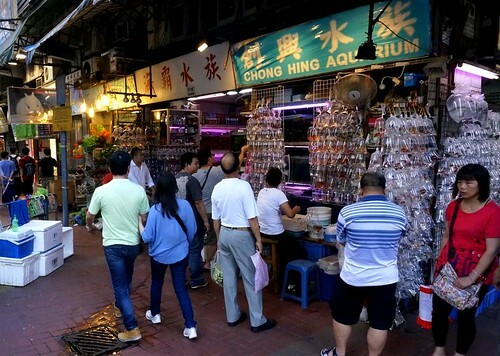 Kam Yu Gai, Goldfish street. 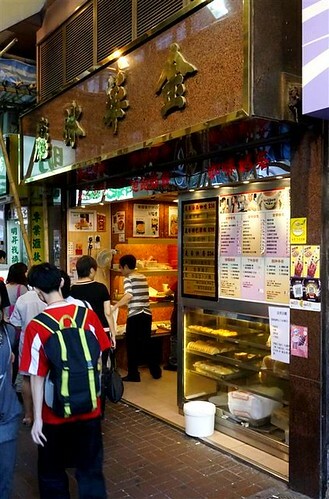 Kam Wah cafe which is famous for it’s polo buns was bustling with business with a line queuing up to buy their buns and eggtarts. 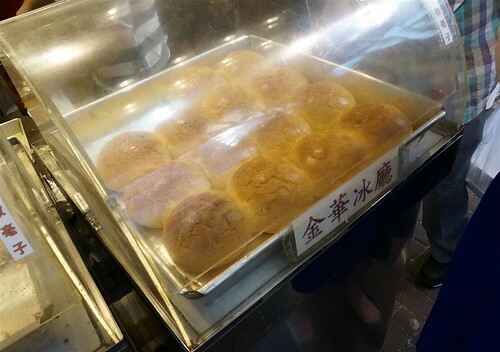 Buns fresh and hot from the oven. When my sister Jan first tried Kam Wah’s polo yao, she msged us raving about the bun and said that it was the best polo yao ever and she was right! 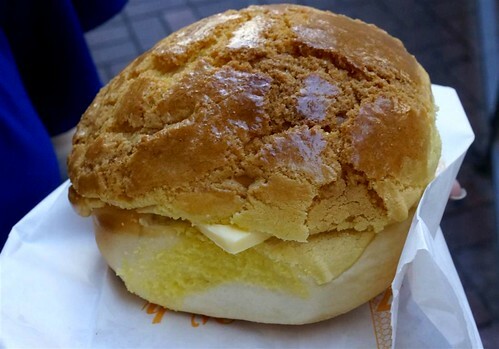 This warm polo yao had a lovely soft interior yet slighly cripsy exterior, and the indulgent slice of butter which melted as we were eating the bun gave the sweet bun just the right amount of salty buttery flavour. It was so good! 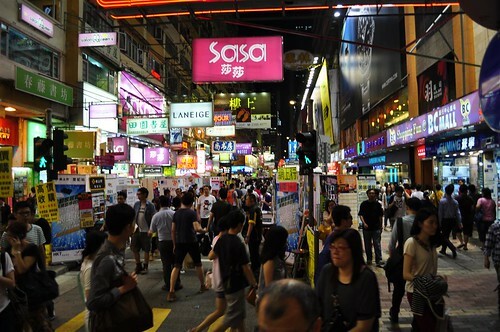 Mongkok’s busy streets at night. It was hot and humid and the streets were packed with people. R’s first taste of smelly tofu (chou doufu). ‘How was it’ I asked him? ‘Like tofu’ was his answer hahaha. So lame. We had a rest from all the walking and stopped by Hui Lau Shan, Hongkong’s popular dessert chain store for some dessert. 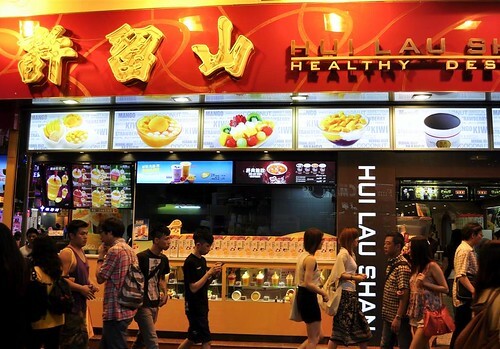 You know that American saying ‘there’s a Mcdonald’s on every corner’, well in Hongkong, there’s a Hui Lau Shan in every corner! 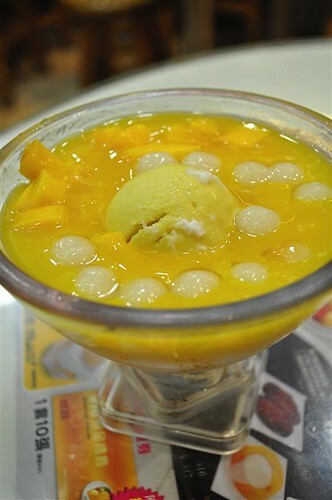 R’s dessert was the mango pudding with mango juice with glutinous rice balls and extra mango. 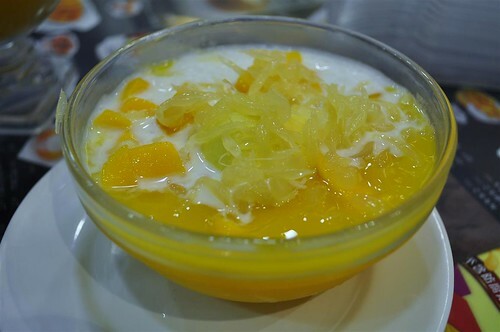 My dessert was the yong ji gum lo, pomelo mango sago dessert. 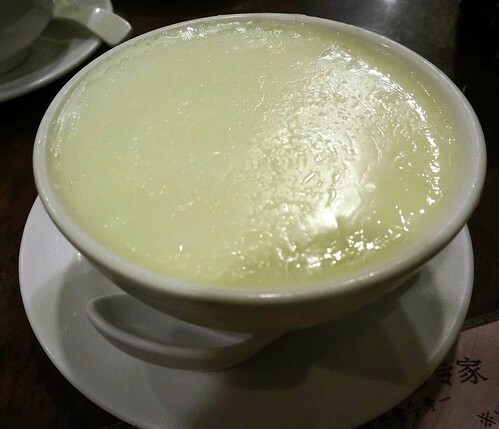 R wasn’t impressed with his first Hui Lao Shan dessert, we both felt that Hui Lao Shan is overrated and overpriced. Our desserts weren’t cold enough and bordering on lukewarm (not great if you’re actually looking for a refreshing dessert) and while the mango was sweet, the pomelo segments in my dessert had a bitter aftertaste. We had much better desserts elsewhere in Guang Zhou and from Honeymoon dessert later in the holiday. 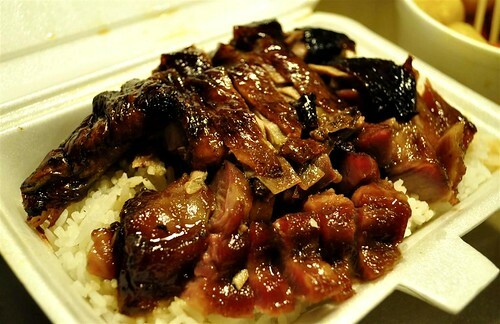 Our takeaway dinner of tender char siew and roast goose rice takeway. It was really yummy. 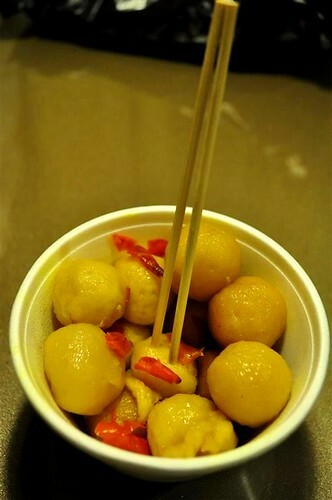 Curry fishballs! My favourite snack in Hongkong, surprisingly R found them tasty too. Day 2 in Hongkong. We were determined to have congee for breakfast so chose this comfortable little congee shop near our hotel. 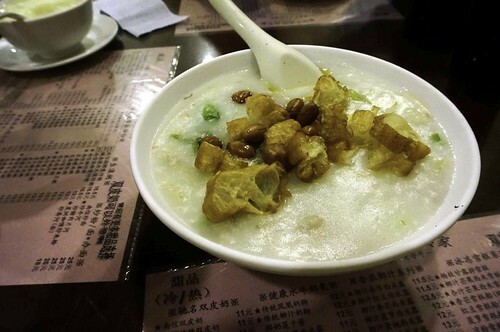 I had Teng Chai Jook (Sampan congee) which was pretty good with crunchy squid bits, nuts and thin fish slices. 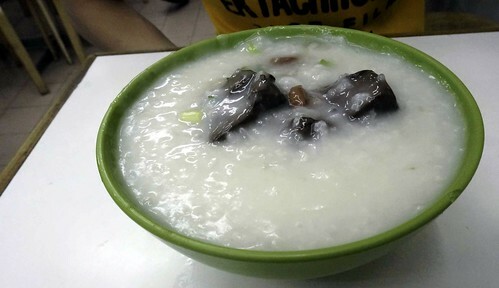 R had the Pei Dan Sou Yuk Jook (century egg and lean pork congee) which he enjoyed. 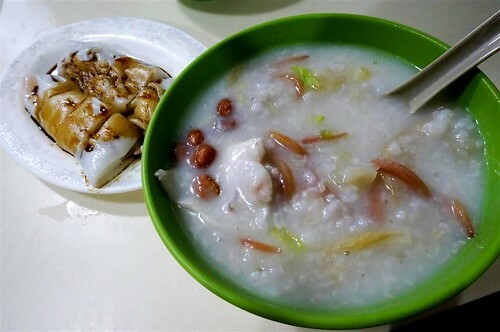 Cheong fun goes best with congee. 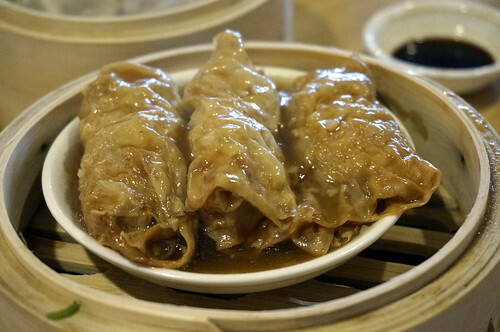 The cheong fun in Hongkong is different from Perth ones which are slippery and silky, Hongkong cheong fun is stickier and chewy, I think I prefer Hongkong’s texture. 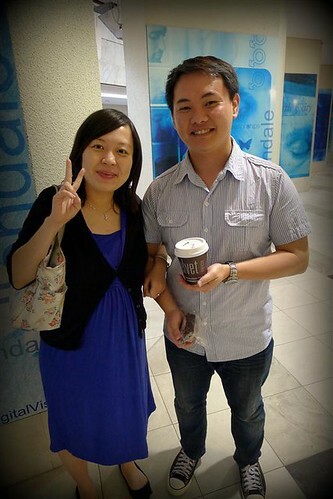 Then we were off to Kowloon Tong for a half day of wedding photo taking. It was actually pretty fun and we had a nice makeup artiste and photographers who made the whole experience fun and not too painful. The end of our wedding photo taking. 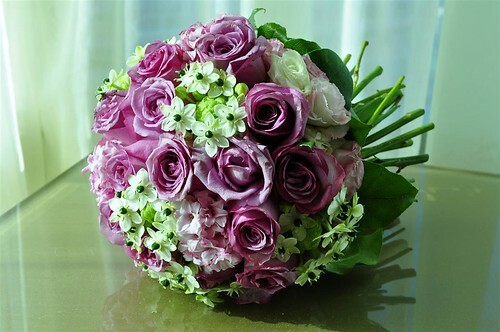 Our bouquet didn’t go to waste because we brought it over to Guangzhou for Gerry’s (girl)friend. 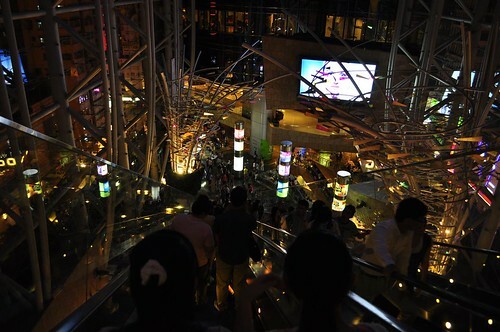 Nightime shopping at Langham place. 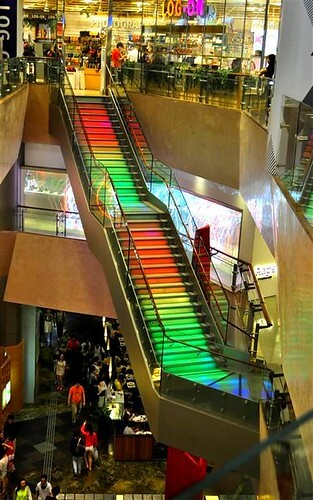 Going down the escalators while admiring the beautiful interior of Langham Place. 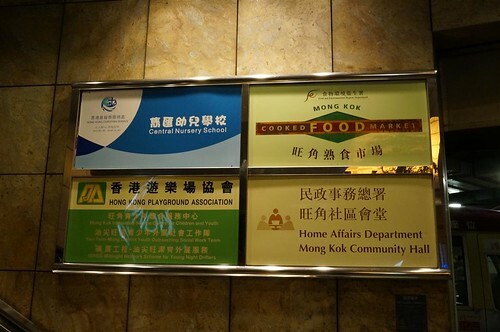 Right opposite Langham Place is the Mongkok Cooked Food Market which has a hidden food court with many food stalls and was our designated dinner location for the night. 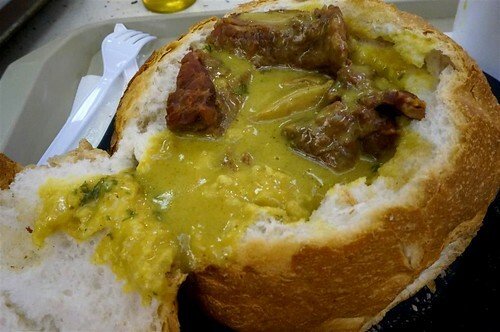 My dinner was from Stall 2, 澳門翠苑茶餐廳 Tsui Yuen and included a beef brisket curry bread bowl (the bowl is made out of bread) which came with a side serve of minestrone soup. It was pretty good, I enjoyed breaking off bits of bread from the ‘bowl’ and dipping it in the minestrone which went well with the curry laden bread and was lovely. 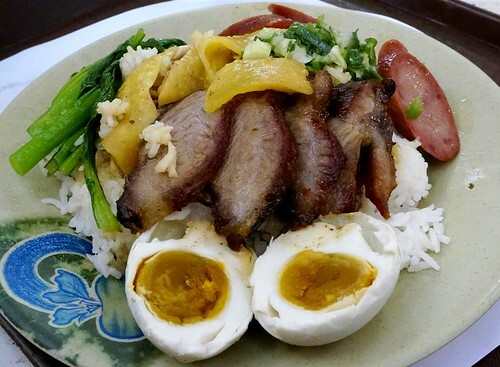 R’s dinner was a Sei Bou Fan (Four treasures rice) from a barbequed meat stall which came with chinese sausage, char siew, chicken, salted duck’s egg and vegetables. It was very tasty. 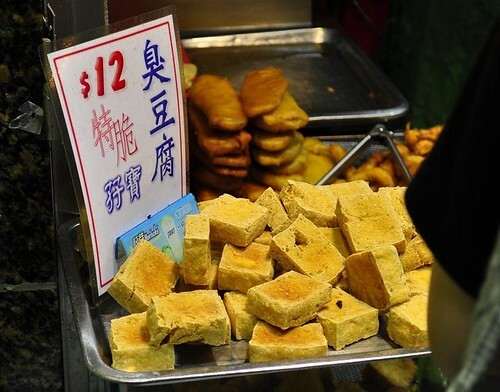 Late night street food snack of siew mai (made out of fish paste, quite different from our usual meaty versions) with curry fishballs hidden underneath. End of Day 2. Day 3 we travel to Guangzhou where we meet up with Gerry and his family 🙂 :). also the most memorable part of our holiday. I’m never quite sure why I keep returning to The Precinct even though the food is a bit hit and miss. It could be the wide and somehow cozy, spacious interior. 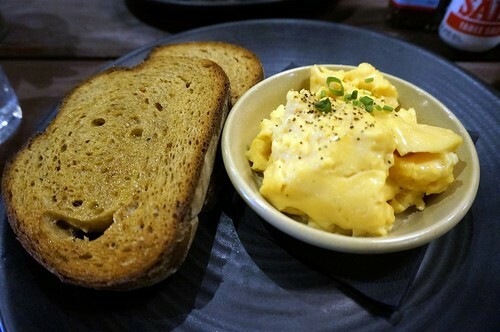 The scrambled eggs with toast ($10) was tasty , my friends were delighted with the custardy texture of the scrambled eggs. 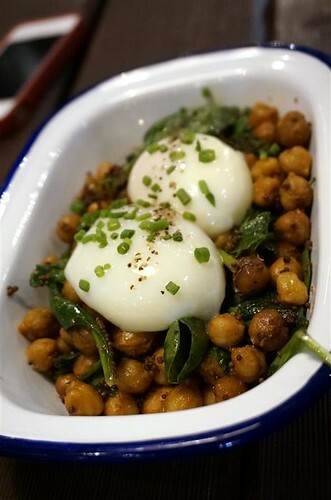 Chickpeas with slow eggs were yummy too. We also had the baked beans with toast which were a bit too tart for our liking. I love watching Jade grow up! 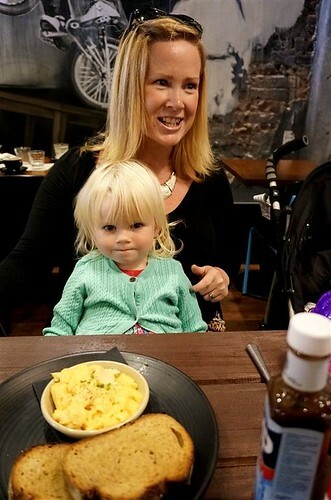 She is such a good and pretty little girl with her honey blonde locks. Tristan making friends with Jade. 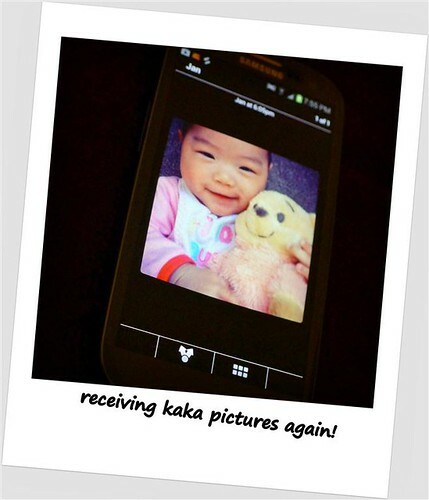 Hehe, so cute. 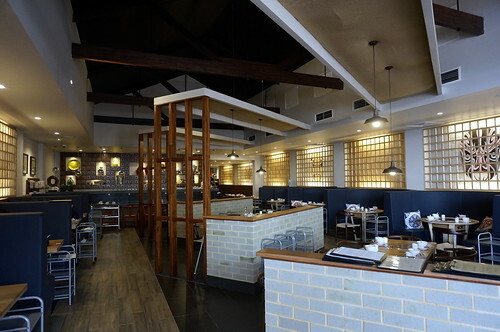 Our new favourite Malaysian restaurant, Wang’s Asian Cuisine ( 28a, Chapman Rd, St James) which is next to Buen. They make a pretty good assam laksa. 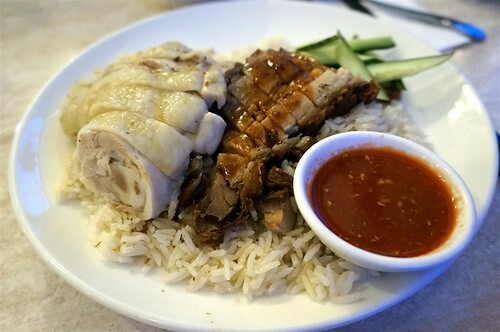 Combination rice with chicken and roast pork. The view from my window. 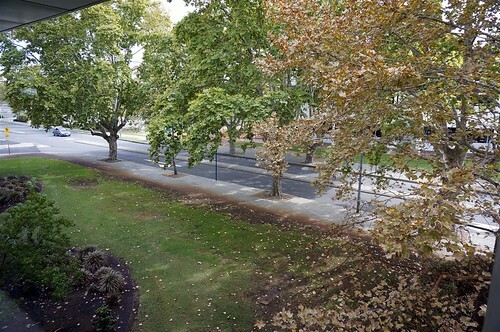 It’s isn’t so bad working during weekends when you get to look at at leafy, relaxing surroundings like that. Ok time to prepare our Sunday dinner. It was my first day off in ages! Jo and I headed into the city, it was a perfect day, the weather was gorgeous and sunny. 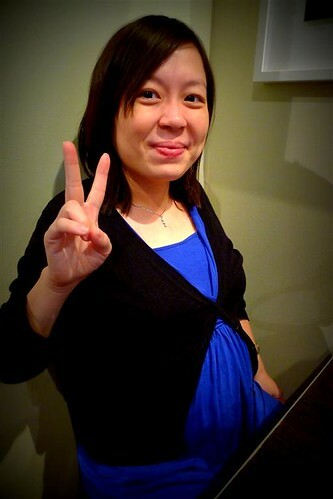 My companion for the day, the very soon mum-to-be with her signature V sign. No coffee for the pregnant lady but it was the best coffee that I’ve had in goodness know how long. I miss Velvet coffees so much. Since HC’s office was in the vicnity, we ‘tapao-ed’ a Velvet coffee for my fellow coffee friend. 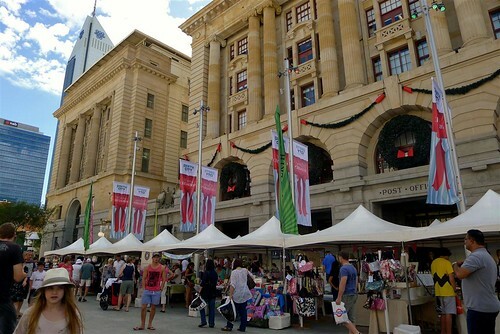 Outdoor market in the city, stalls were set up selling handmade trinkets. Deck with halls with boughs of holly fa-la-la-la-la, la-la-la-la. Christmas in London Court. 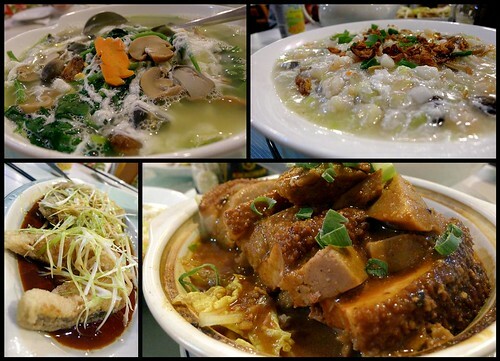 Saturday night dinner at Happy Star Noodle House in Myaree. 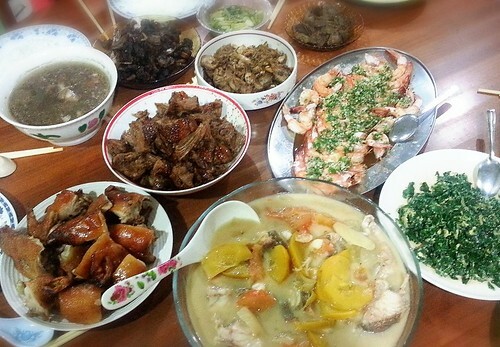 We had spinach with century egg and salted egg, homemade tofu, pan fried tooth fish and braised pork belly with yam. The pork belly was a bit overpowering for us, but everything else was light and tasty. 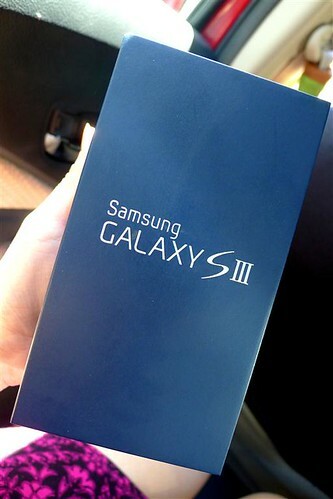 I finally succumbed and bought a new phone! Just so that I can receive daily Kaka photos again 🙂 Happy.